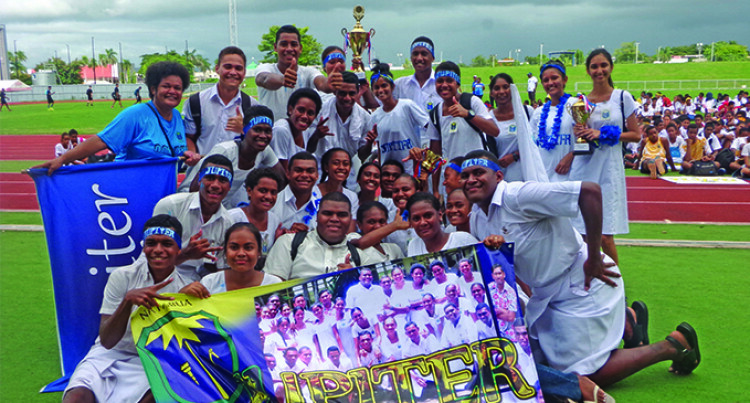 Jupiter won the 2019 Natabua High School inter-house ath­letics competition at Churchill Park, Lautoka yesterday. The team last won the crown four years ago. Yesterday they amassed a total of 915 points ahead of Mars (825), Venus (796) and Pluto (522). Jupiter won the boys division with 488 points, ahead of Mars (474) and Venus (347). In the girls division, Venus won the girls (421) ahead of Jupiter (403) and Mars (313). Some notable names for this year are Josefa Rasoi, Meli Ta­niuru in the junior boys long jump and 400 metres event. Others include Kalesita Vateitei in the inter-girls 400m and for­mer Suva Grammar School’s Malasebe Tuvusa who is set to run for his new school in the blue ribbon event.